The first thing you should know about Possum Trot eliquid is that it is an eliquid you cannot buy directly from the company behind it, e-Pure Liquids. It’s not available for purchase on the e-Pure website. This is a brand that’s sold via wholesale only, and then resold through various online and physical vape shops, including Kansas City Vapes, a chain of retail vape shops in the Kansas City area who just so happen to own e-Pure Liquids. The line can be purchased in vape shops in 30 states in the Midwest and Southeast parts of the country, as well as a few select European vape shops. I’ll include a couple of links at the end of this review. Possum Trot is a high VG line of eliquids, though the VG ratios are varied. E-Pure Liquids developed the flavors for the Possum Trot line and then individually developed the highest VG ratio for each particular flavor. This process, according to e-Pure, allows for most flavorful experience possible along with the highest VG ratio that will complement the flavor. Some eliquids in the line will have a VG ratio of 70% (the lowest ratio in the lineup) while others will boost as much as a 90% ratio. This approach tells me that e-Pure is sincere about creating the best version of their ‘flavors’ and refuses to lock themselves into a ‘one size fits all’ VG ratio. In any case, the Possum Trot line is marketed as “MAX VG”. Factoid: Possum Trot was once a contender for the name of town now known as Kansas City. Thankfully that name was discarded in favor of its current name. Imagine today, in 2015, a major city in the US called “Possum Trot”. Yea, it doesn’t lend itself to modern society and it probably would have been changed as the country progressed through the centuries, but it is a colorful bit of history. Possum Trot was chosen for this eliquid line out of respect for local history. I reviewed all ten eliquids in the lineup over a period of about a month. I enjoyed many of them, though not all, but the one thing that all the eliquids shared was a commitment to excellence. From e-Pure’s certified lab that develops the eliquids to the PhD chemist and Sous Chef with a Culinary Arts Degree who are creating the varied and complex flavors, from the automated bottling facility that prevents contamination and human error, right through the deluxe packaging, e-Pure Liquids put its best foot forward for the Possum Trot line, and it shows. Particulars – Possum Trot eliquid is offered in 0, 3, 6, and 12mg nicotine. The MSRP is $24.99, though it can be found for less, depending on the store selling it. I’ve seen it as low as $20 for a 30mL bottle. 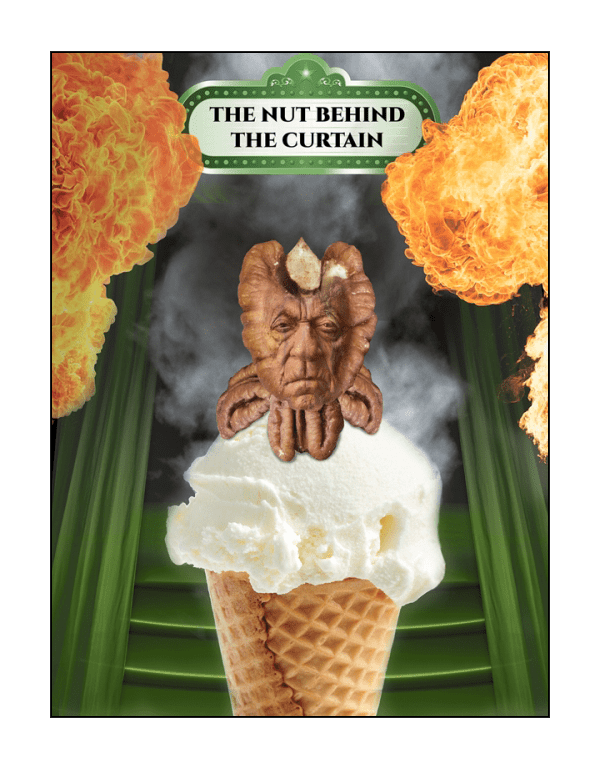 The Flavors – All flavor names are derivative of The Wizard of Oz. All ten eliquids were vaped using ten Kanger Subtank Nanos equipped with 0.5-ohm coil heads, the SMOK XPro M80, a Vapor Flask (DNA 40), and the Innokin MVP 3 Pro. Steeping – Whenever I purchase a bottle of eliquid, no matter where I buy it or what flavor I buy, what PG/VG ratio, nicotine level, etc., I always shake the bottle, open the bottle and let it sit in the open air for at least 12-24 hours. I have never ‘not’ improved the eliquid by preparing it in this manner. While I can’t say this with any scientific certainty, I believe that the exposure to the air eliminates any chemical taste from “quality” eliquids. While it can improve even the most chemically laden eliquids, it cannot eliminate all chemical aftertastes in the cheaper, less pure products. With regards to Possum Trot, after this airing out there was no chemical taste to be found in any of the ten flavors while vaping them. An eliquid review can never act as a promotional piece. We’re not here to promote the sale of any product. A review is more than a simple taste test as well. Eliquids that I like can be eliquids you despise, and vice versa, and to attempt to sway you one way or another is dishonest. The fact that I may love one flavor and hate another should play just a tiny part in the overall review, the more important parts of the review is closer to an investigative approach than anything else. 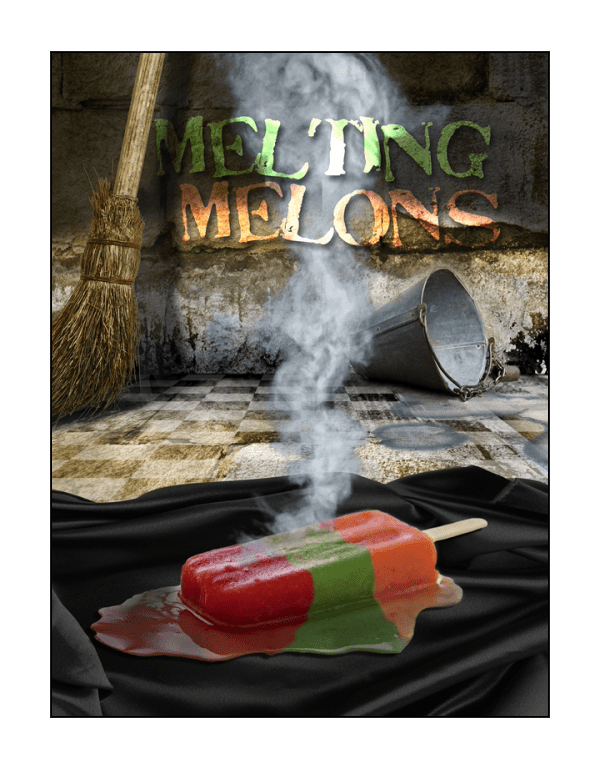 If the reviewer doesn’t like melon flavors, or menthol flavors, for instance, how can that reviewer properly review an eliquid that is primarily a melon or menthol flavor? Actually, the way I do a review, it’s quite easy. If I don’t like melon flavors it is because I have tasted various melons and decided that I didn’t enjoy the flavor. In other words, it is not an arbitrary decision. The same can be said about menthol, or any other flavor component. It is only by experiencing various flavors that anyone can say they like it or they don’t. When it comes time to market an eliquid one of the most important jobs, after the eliquid is developed that is, is to describe that eliquid in such a way as to entice the vaper to try it. It’s important and it’s vital to the success of the eliquid, but if that description is oversold, if it is written as poetry without regard to actual flavor, it becomes a lie, not a description. 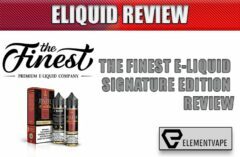 A review should uncover the lie, or be an objective affirmation of that description, minus all the flowery language found in most eliquid flavor descriptions. You might be surprised how many brands pay top dollar for the talent of a writer who can persuade a vaper to press the “Add To Cart” button. That’s not my job, or anyone’s job at Spinfuel. We don’t make any money if you buy it, all we care about it evaluating the eliquids and giving you an idea of what to expect if you buy it. Why? Because spending $20 on a bottle of ejuice you don’t like is awfully depressing, and has led many early vapers down the road back to cigarettes. So, you should see an eliquid review as a vetting process. We’re not 100% right all the time, but we’re close. Characteristics across all flavors – If you vape any of these eliquids without allowing some air to run over them you’re not going to get an optimum vape. To really know these eliquids, to enjoy them on a deeper level, let them breathe a little. One you do that these eliquids will deliver (mostly) accurate, smooth, yet complex flavors with an abundance of vapor production. Remember, these are all billed as MAX VG, so vapor production is never the problem with any Possum Trot; it is all about the flavors; all complex, layered, subtle and not so subtle flavors. 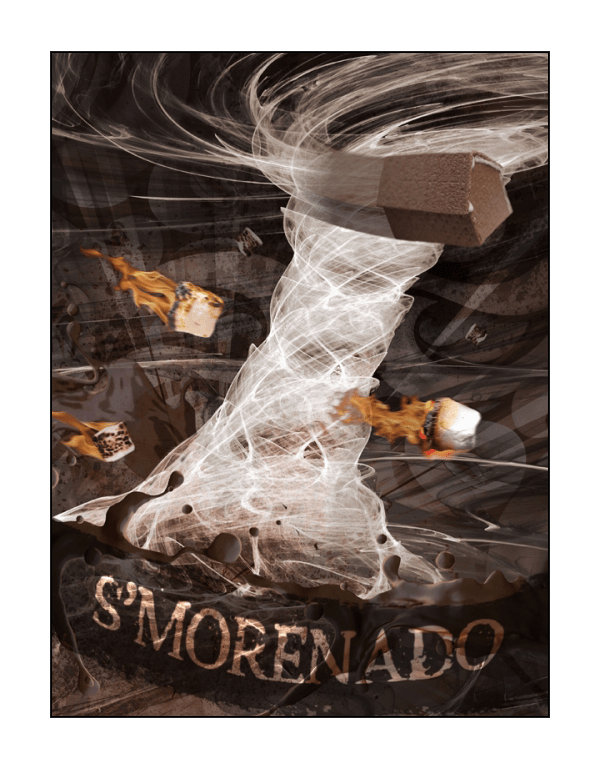 spin on traditional tobacco, stacked atop melted chocolate, toasted marshmallow, and sandwiched between crisp graham crackers. From the flowery description alone this is one very complicated eliquid. From tobacco to graham crackers, I would hate to be the one tasked to produce such a complicated thing. That said, S’morenado is a wonderful execution of this seriously complex juice. Expertly blending succulent blueberries with lemonade home brewed to perfection. This is a road well worth traveling. Bite-sized bits of cereal intermingle with handfuls of freshly picked strawberries, blueberries, and blackberries, carried in on a wave of rich cream. As it happens, Captain Crunch is a breakfast cereal I enjoy almost daily. 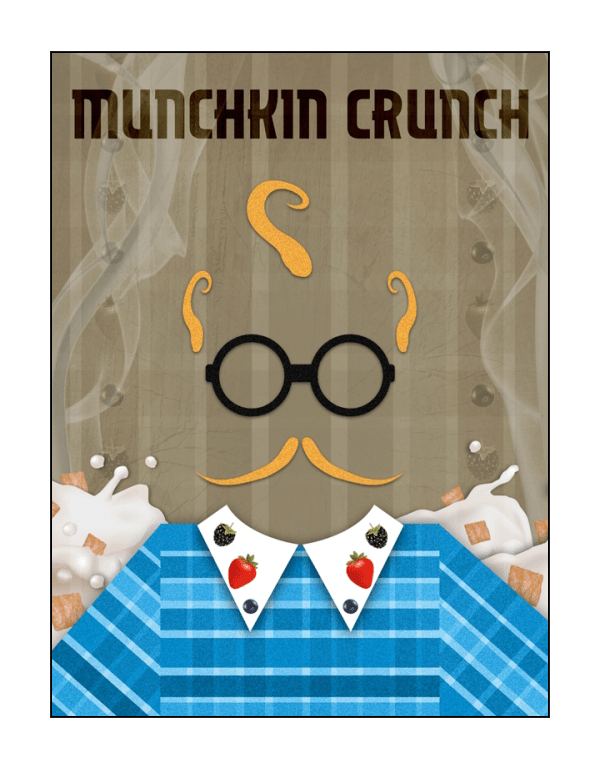 Munchkin Crunch is not that. It’s better. 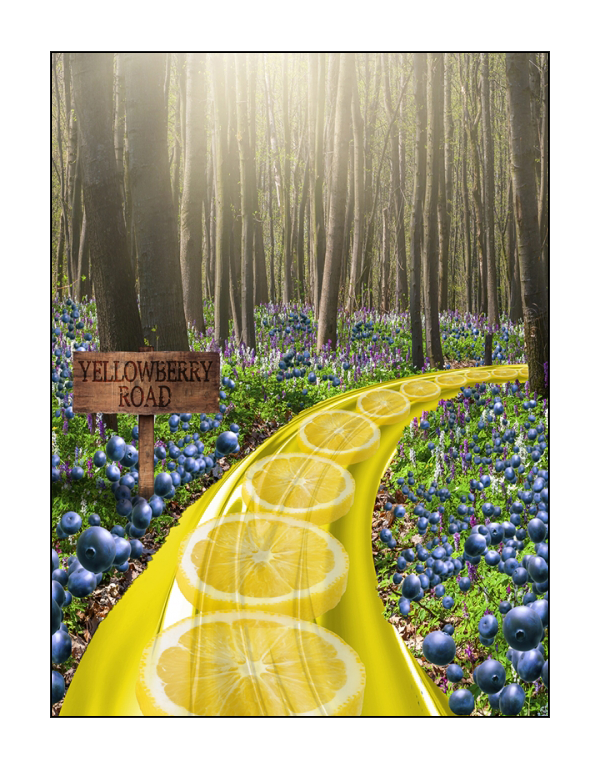 This is a brightly flavored eliquid that delivers the flavors of strawberries, blueberries, and blackberries with various degrees of success. The creamy flavor alluded to in the description is there, and Possum Trot tries to deliver the total package of a Crunch cereal with fruity flavors in a bowl of cream, but it doesn’t quite make it. 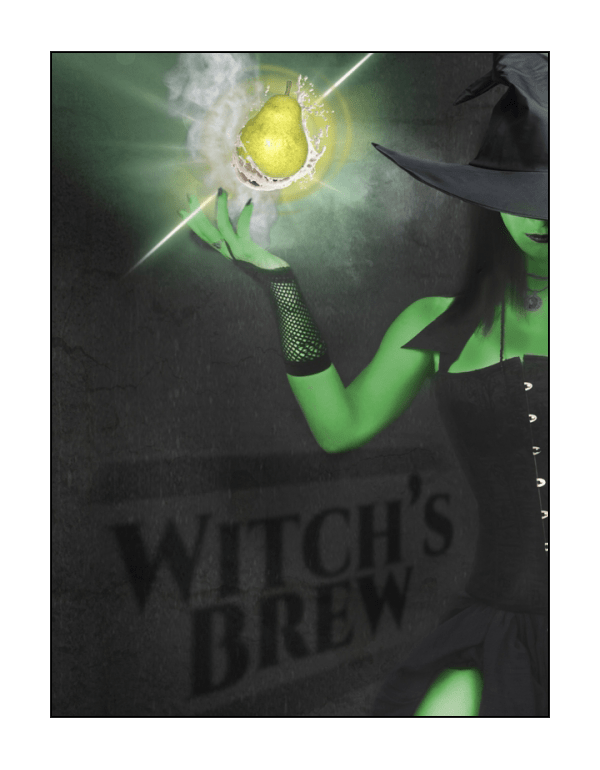 If I were you I would try this eliquid if you’re looking for a “bright” fruity mix (I swear I see the color of bright yellow when I vape it), with a light creamy finish. This one can stand on it’s own, and while fitting its description fairly well, it’s a very good eliquid regardless. 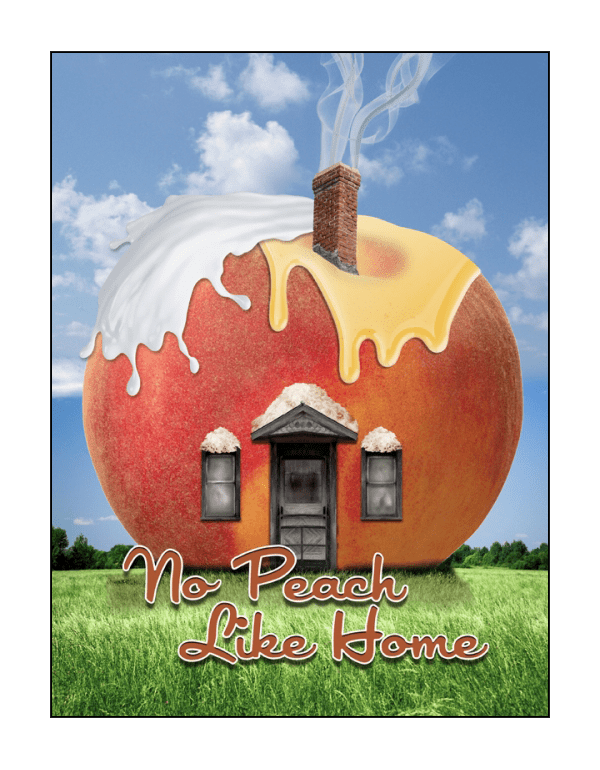 An irresistible blend of handpicked peaches and apricots topped with a honey drizzle and nestled atop a bed of Bavarian cream and coconut flakes. 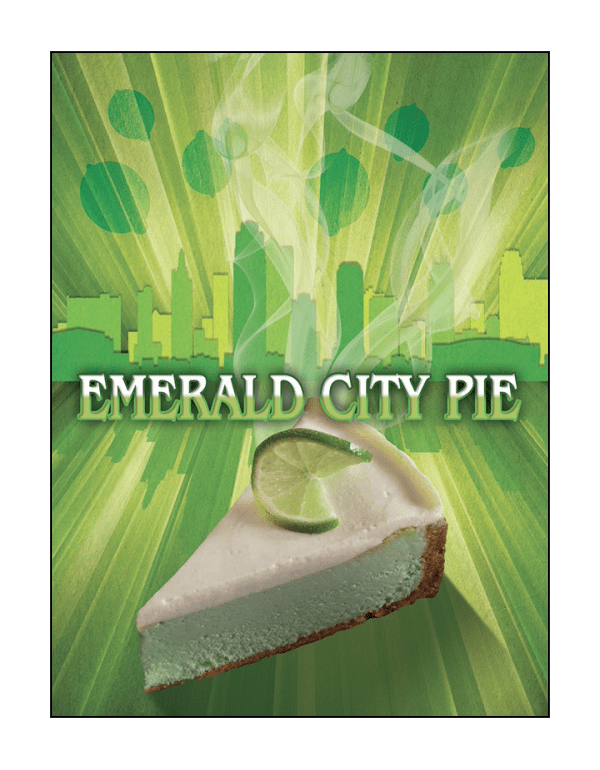 tart lime accented by decadent cheesecake notes presented atop a crisp graham cracker crust. This rich, bold blend of creamy vanilla custard and pillowy marshmallow emboldens the palate of the courageous and cowardly alike. 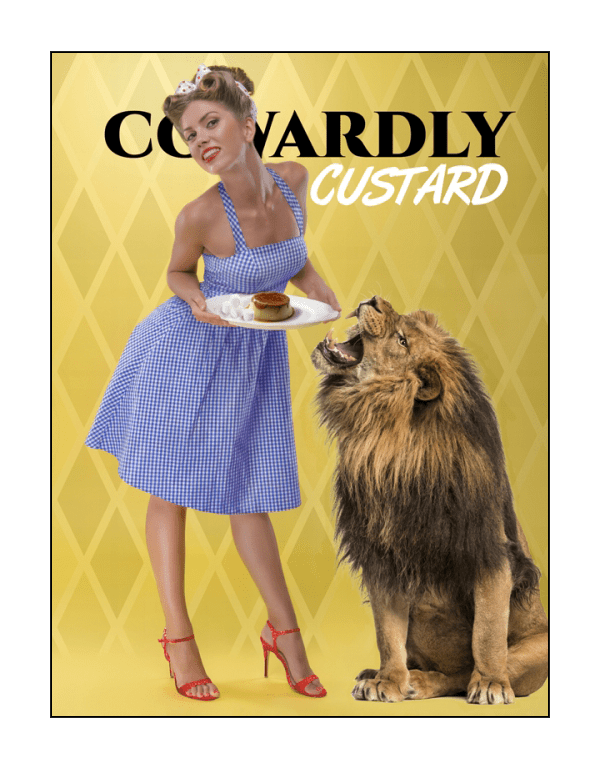 When I read the description for Cowardly Custard I dreaded vaping yet another custard flavored eliquid. Custard has been done to death, so imagine my surprise when the flavors created something a lot different than the usual custard. Pulling back the curtain reveals rich, sweet notes of butter, brown sugar, and pecans, served with a scoop of French vanilla ice cream. chai spice, and accentuated by gooey marshmallow. 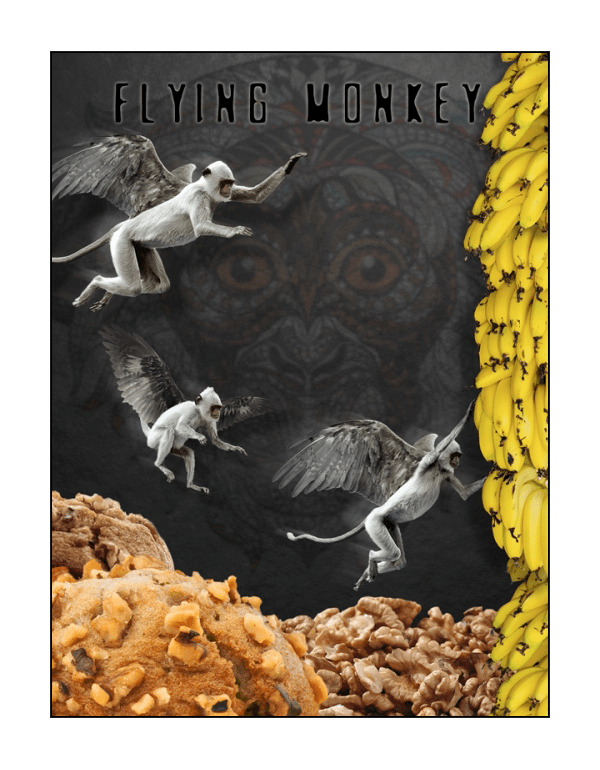 This aerial feat is accomplished by combining ripe bananas, freshly chopped walnuts, blended with cinnamon and cardamom, baked into scrumptious muffin batter. Freshly sliced watermelon, refreshing cantaloupe, and crisp honeydew melon, served chilled. Possum Trot is definitely a winning line from e-Pure, and if you’ve had any issues with other e-Pure liquids you should not allow those issues to stand in your way of trying Possum Trot. The flavor creations are original, complicated, layered blends that attempt to do something wonderful and often succeed. Having said that, I must keep it in perspective. There are many excellent eliquids on the market and unfortunately some of good ones are buried in the muck of expensive marketing campaigns and super deluxe packaging of small boutique lines that push the whole “You’re not cool if you’re not vaping me” thing. As good as these eliquids are they are not boutique, they are mainstream, and for people like myself that’s a good thing. Possum Trot is not an elite brand, it’s not a pretentious brand, and that works in its favor. I’m happy to see e-Pure take this move into a super premium level lineup, and with any luck we may see even more flavors added to the line up. I would love to see what they could do with a Chai Tea Latte or a spicy pumpkin, two of my favorite flavors. As always, your thoughts, comments, and criticisms are welcome below.